Brenda Osborne Crawford, 70, of Reidsville, formerly of Greensboro, known for her love for God and great testimony left this earthly realm and entered into eternity holding on to the hand of Jesus on March 20, 2019. Funeral will be 2:00 PM Sunday, March 24, 2019 at George Brothers Funeral Service with burial to follow at Lakeview Memorial Park. Brenda loved life, family and singing for the Lord. 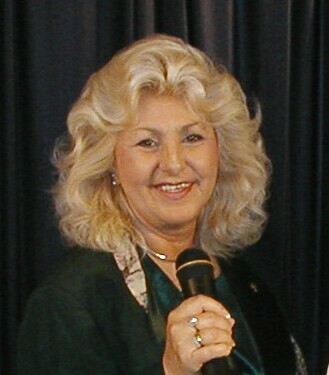 She was a member of The Osborne Family Gospel Group for over fourteen years sharing Christ in song and testimony. She was a faithful member of New Heart in Christ Church. She is preceded in death by her parents, Roy and Ruby Osborne; sister, Betty Wall; and brothers, Leyon and Roger Osborne. Brenda leaves behind her loving husband of forty-seven years, Donald Crawford; step-sons, Kent and Joe Crawford; sisters, Doris Burnside and Judy Nash (Gary); brother, Larry Osborne (Diane); and a host of nieces and nephews she loved dearly especially great nephew, Zach whom she adored. The family will receive friends from 5-7 PM Saturday evening at the funeral home. Memorial contributions may be made to New Heart in Christ Church.